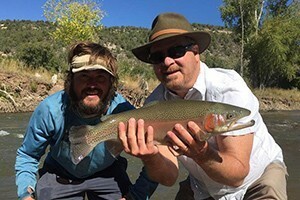 The Gunnison River holds Gold Medal Status for its big trout and long stretches of premier fly fishing waters, and access is only two hours from Telluride. Telluride's premier guide service offers float trips on the Lower Gunnison, and wade trips on two sections of the Gunnison Canyon. Famous for HUGE Browns and Rainbows! The Gunnison River is a destination fly fishing river and holds Gold Medal Status. The season lasts from March through October. Plan a trip in June to hit a big fish hatch. 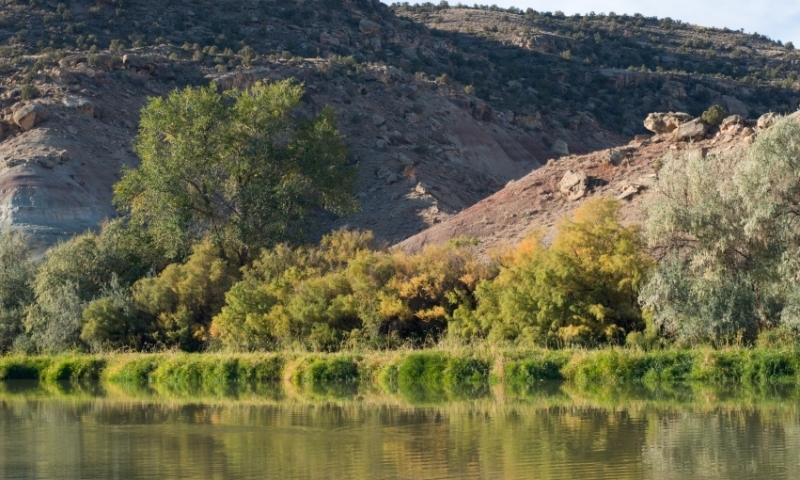 From the 1930s into the 1950s, the Gunnison River was known as one of the premier trout streams in the United States. The construction of the Blue Mesa Reservoir, followed closely by the construction of the Morrow Point Reservoir and the Crystal Reservoir, reduced trout populations and made the area less attractive to fly fishermen. The eighteen-mile stretch above the Blue Mesa Reservoir is split between public and private land, limiting access for long stretches. However, from the reservoir to the confluence with the North Fork of the Gunnison, the river is nearly all public property. 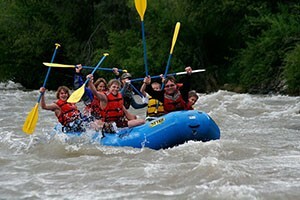 The river also flows through the steep and narrow Black Gunnison National Park, where access is best with a raft. The fishing season here is March through October. The prime time is in June to the end of August when there a major Stonefly Hatch. The Gunnison is best accessed from Montrose. From Telluride, head west on CO-145, take a right on CO-62 at the dead end, then go left on to US-550 in Ridgway. In Montrose, turn right on US-50 for access to the Gunnison River. Tomichi Creek flows into the Gunnison River from the Monarch Pass area.